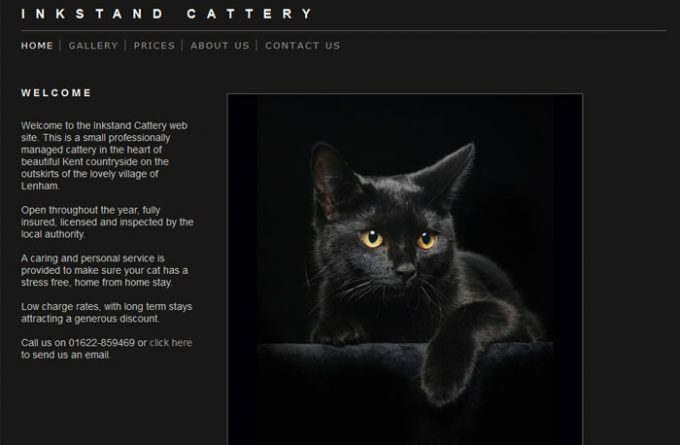 Established over 30 years ago and run by the current owners for the past 14, Inkstand Cattery is located in Lenham, between Maidstone and Ashford. The cattery offers both individual and family chalets, each having an individual raised chalet and an enclosed outdoor run. Accommodation is heated, with a separate sleeping area and a ramp leading to the exercise area. Pens are separated by safety areas. For more information about Inkstand Cattery, you can visit them in person, visit their website, telephone or send them an email (if available) using the form below.